Launched in May 2017, Wow in the World is a podcast for curious kids and their grown-ups that leads listeners on a journey away from their screens, inside their brain, out into space, and deep into the coolest new stories in science, technology, and innovation. Distributed by NPR, Wow in the World marks the first show for kids in the public broadcaster’s 47-year history. Host Mindy Thomas (SiriusXM’s Kid’s Place Live) weaves a character-driven and humor-heavy narrative around the latest stories from peer-reviewed scientific journals about incredibly cool things happening in the world right now. Stories that spark listeners’ sense of wonder, ignite their curiosity and often cause endless belly-laughs. Stories that make kids excited about the world and their place in it. Before the show, get “STEAM-ED” (Science, Technology, Engineering, Art, and Math) at the MOSI Science Zone in the lobby for hands-on fun and super-cool demos! You can also learn about MOSI’s newest exhibit, Dinovations Lab, and Summer Science Camps! TICKETS range from $20.00-$35.00 plus applicable fees, and are available at the historic Franklin Street Box Office ($24.00-$40.25 total, including fees) and online ($26.75-$44.25 total). 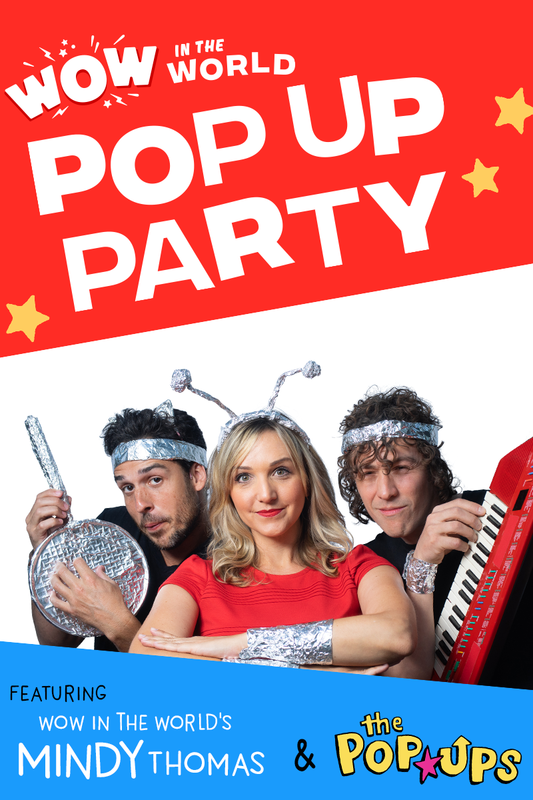 A limited number of VIP tickets are also available for $75.00 plus fees ($83.75 at the Box Office or $89.25 online), which includes a post-show meet & greet with Mindy Thomas + the Pop Ups!